Question: I’m comparing AAPC CRC Course to CCO’s course can you help me figure out the differences? Answer: CCO is a licensed curriculum site and as such we are allowed to use AAPC content in our courses which we do. Our course lectures take the lead but we supplement with AAPC content. 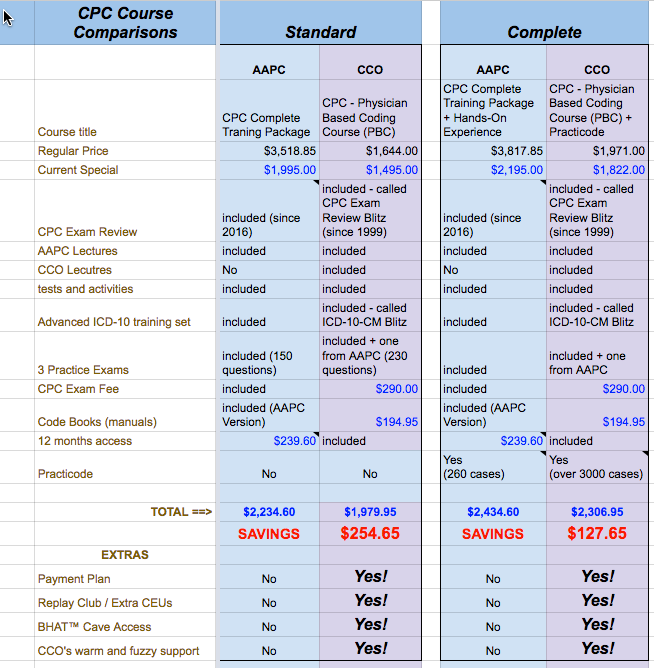 See this CRC Course comparison chart with the current AAPC special pricing. Question: I'm comparing AAPC CRC Course to CCO's course can you help me figure out the differences?